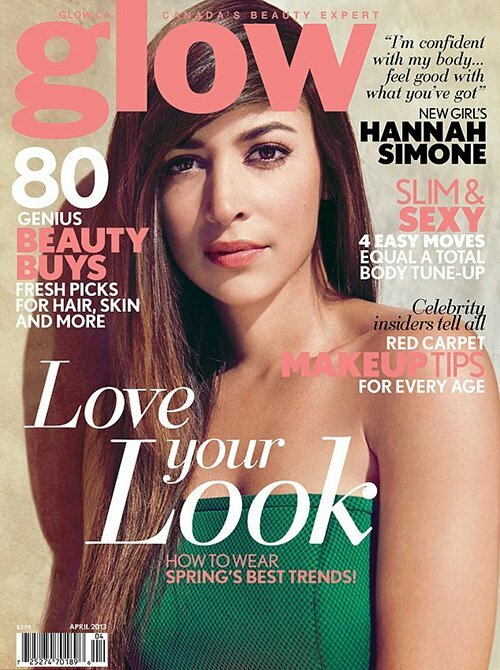 Hannah Simone graces the cover of Glow Magazine’s April 2013. In the article, she dishes on her character on New Girl. Visit www.glow.ca for more information and see the rest of Hannah’s fashion spread below, shot by Dove Shore.